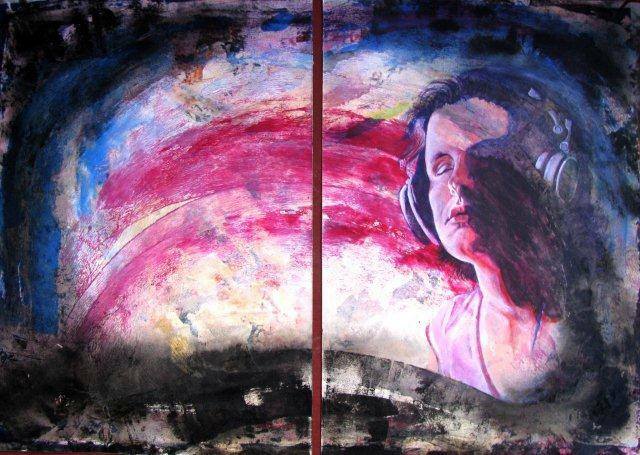 “Hearing is Believing” screening with live music by Rachel Flowers and paintings by Pedro González Pulido. The Museum of Ventura County will host a special screening of “Hearing is Believing,” the uplifting documentary by Ventura filmmaker Lorenzo DeStefano that chronicles the life of world-renown musician and Oxnard phenom, Rachel Flowers. The event begins with an reception at 6:00 pm with live music by Rachel and paintings by Pedro González Pulido. The U.S. premiere of an exhibition by the prominent Cuban artist and educator. Featuring acrylic portraits inspired by scenes from “Hearing is Believing” and from Rachels’ performances. The screening begins at 7:15 pm, followed by Q+A with producer/director Lorenzo DeStefano, Rachel Flowers, Rachel’s mother Jeanie Flowers, co-producer Patti Channer, and director of photography David Pu’u. Tickets are $20 and benefit the Flowers family, the Museum of Ventura County, and Hearing is Believing Productions.